Fill your reqs faster by effectively using the Apply Now button to provide a simple and direct way for candidates to apply to your open positions. LinkedIn is the #1 resource for passive candidates, but it's also a prime destination for active job seekers, too. And providing a simple and direct way for them to apply for your open positions will help you fill your reqs faster. This is why every posting on the LinkedIn Jobs Network features an Apply Now button prominently at the top of the page, but what happens when applicants click that button can determine whether they actually follow through and apply. Some recruiters choose to send applicants to their company's career page (i.e http://www.companyx.com/careers), where the job seeker must search again for the job they already found on LinkedIn. But this method puts a barrier between the applicant and the application, thus some job seekers may not follow through, regardless of how qualified they may be. Finding the best URL to enter in the Applicant Routing field of your job post can be tricky. Not every ATS makes this easy. Try each of the following methods and use the one that provides you with the optimum URL . 1. 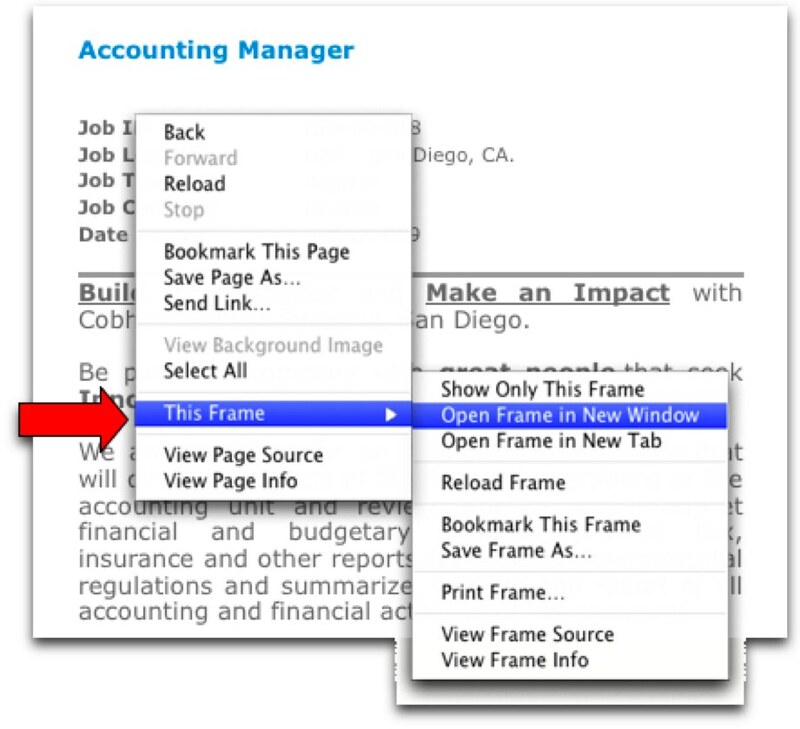 Open the exact job listing in your browser and copy the URL from your browser's address bar. 2. Test the link in another browser window to make sure it works properly. 3. Success? Then paste that URL in the Applicant Routing field. 2. Click the button which says "Email this job to a friend" or something similar. 3. Enter your own email address as both the sender and recipient and click Send. 4. Open the message that arrives in your Inbox and copy the URL there. 6. SUCCESS! Paste that URL in the Applicant Routing field. Use this method if your ATS uses frames (a page within a page). 2. Right click in the middle of the posting and choose "Open Frame in new window" 3. Copy the URL from that window and test the link again.